A vital part of good health is the right amount of sleep. Most people these days don’t get nearly enough. 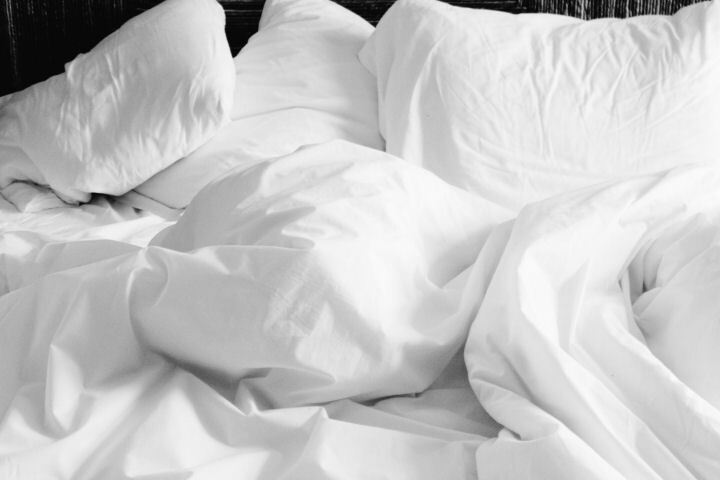 We know that so much in our health depends on getting a good night’s sleep. If we don’t get enough sleep, we may not feel like eating right or exercising. Our weight-loss plan will definitely suffer. Our metabolism suffers. When we sleep our bodies heal. If we don’t get the sleep we need, our bodies lose out on the healing, and our hormones and immune system suffer. With all the screens that we look at, the light coming in around our shades, the glow of our electronics even when they’re turned off, we’re distracted and most times unable to stop our minds from churning and we can’t get the sleep we need. We’ve all seen the recommendations – don’t look at your phone before bed, get black-out curtains, read a real paper book, and some nights we actually follow them. But it’s still a struggle to get to sleep sometimes. We’ll drink warm milk and not watch TV in the bedroom. And still can’t get to sleep. Our bedrooms can be the coziest haven we can imagine. Nice fluffy pillows, a soft light blanket. The fan will add white noise and keep the temperature cool. And we still can’t get to sleep. One thing that may help is to track our sleep. Take note every night of the approximate time you go to sleep and when you wake up. Over time you may see patterns. For example, if you have a hard time falling asleep on the nights you have a class, you may be over-stimulated by the social interaction. Pay extra attention to your nighttime rituals on these days. If you always have a hard time falling asleep on Sunday nights, you may be thinking about the work week ahead and need to go to bed a little earlier. Try tracking your sleep for a month and see what patterns emerge. And do something about it so you get your sleep!